Honest, fair and transparent pricing. Non-commissioned Product Specialists are rewarded for delivering a truly exceptional sales experience. Our technology continually scans the market to determine the current market value of any vehicle which saves you time and money. We treat you like family because we are a 3rd generation, family owned and operated dealership that has been in business for over 60 years. Every Car. Every Day. You'll Never Over Pay! It's that simple with Intelligent Pricing. Only at Fathers & Sons.. Welcome to Audi West Springfield, MA dealership's website. Here you'll find all the information you need to make an informed purchase of a new Audi, or used car at our Springfield car dealership. If you're looking for a Audi in the greater Northampton, Springfield MA, Chicopee, Enfield CT, and West Springfield MA area, stop by Fathers & Sons Audi where you'll get a great price and service! Have questions? Give us a call!. While you're visiting our dealership's website, take a look at our inventory of Audi vehicles, including the new Audi models like the A3, A4, A5, A6, Q5, Q7, S6, TT, S4, A8 and R8 for the Springfield, MA, Northampton, Chicopee, Enfield CT, and West Springfield MA region. Audi West Springfield is a leading provider of new and used Audi cars to Springfield thanks to our quality automobiles, low prices, and superior sales staff. 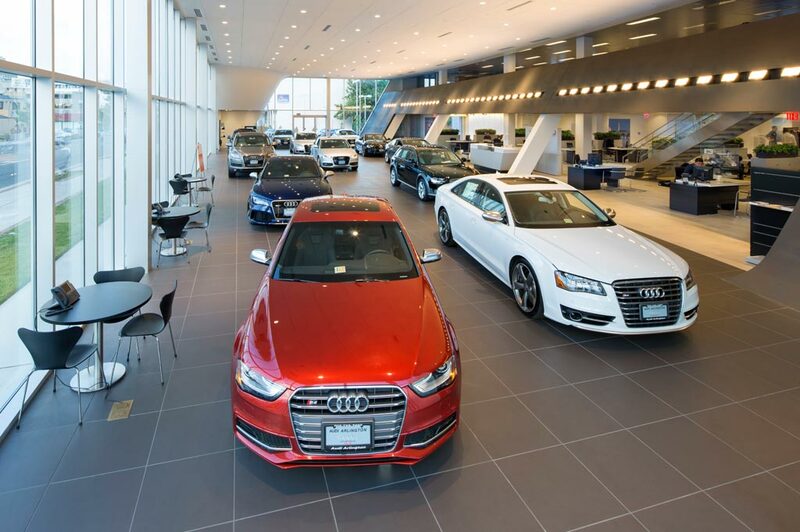 We encourage you to come and visit us at 434 Memorial Ave, West Springfield, MA to view our selection of new luxury and sports cars in person, speak to a sales professional or take a new Audi A3, A4, A5, A6, Q5, Q7, RS4, S4, S5, S6, TT, RS or R8 in Massachusetts for a test drive. Call us if you have any questions about a new or used Audi vehicle at our Springfield, MA dealership that we can answer for you. Audi West Springfield's used vehicles in Springfield, Massachusetts are carefully inspected by our technicians to guarantee quality for our Springfield, Massachusetts customers. We are continually receiving vehicles for our used car inventory, so check back often. Visit our inventory page to browse through the Springfield, MA used cars we currently have in stock. If you see a used car you like, give us a call or stop in and see us at 434 Memorial Ave, West Springfield, MA. For a car loan or Audi lease in Springfield, MA the Audi West Springfield finance team has you covered. By working with a network of financial institutions for a car loan, we make our customer's dreams of owning a Audi come true. Get the Audi car loan or Audi lease that you desire by completing our online financing application. We offer professional Audi car repair at our state-of-the-art service facility. Audi West Springfield's car repair experts will diagnose your vehicle's problem and make a repair as quickly as possible. Schedule Audi car repair and Audi service in Springfield, MA by completing our online Audi service application. Fathers & Sons Audi also has a stocked inventory of Audi auto parts to repair your car, truck or SUV. Our auto authentic Audi car parts will keep your vehicle running like new for many more miles to come.